The Trivandrum-Shornur canal is the longest man-made canal in Kerala. It is famous for its history and glory but is degrading in nature in the present. 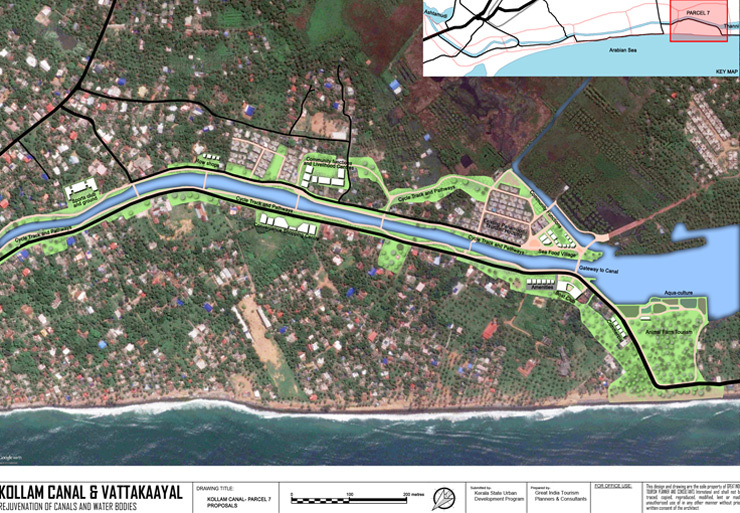 Kollam Corporation contains about 8km of the entire stretch of the canal. 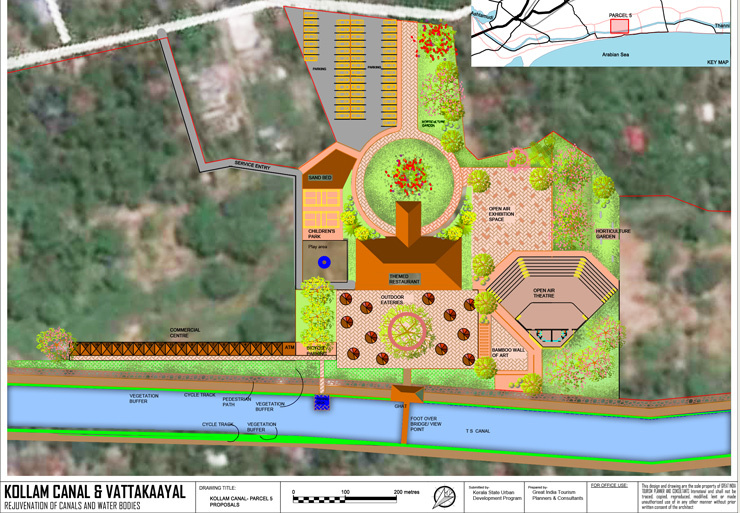 Thannikayal and Ashtamudikayal mark the two ends of the water body within the Corporation boundary. 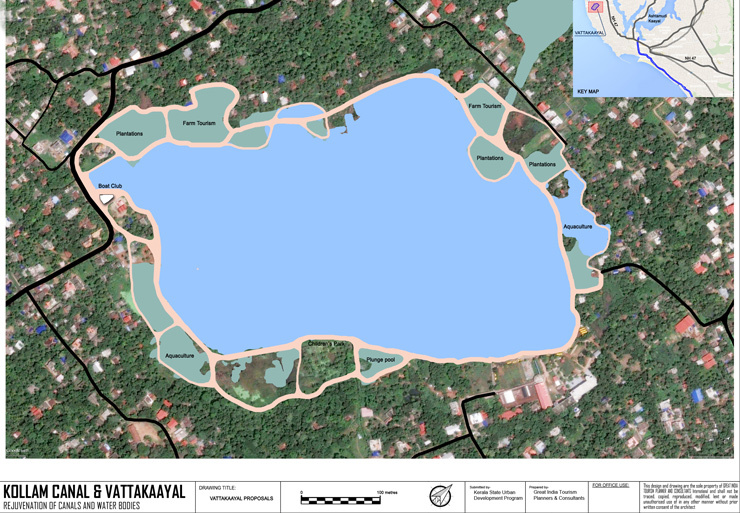 Another vast water body coming within the corporation boundary is Vattakaayal. The water body has also suffered the same fate of an ignored state as any other. The water bodies of the Kollam Corporation have undergone worse dooms of encroachments by deprived population, choked by algae formation, waste accumulation along portion where there is no flow and causing health hazards to the environment. Rejuvenation of the water bodies will not only benefit the environment, but will also boost the tourism potential of the corporation by promoting water recreation and leisure activities in the surroundings. The aim of the project is to rejuvenate the canal and its environments which will not only include the geometrical and ecological improvement of the water channel, but also the scientific planning of the milieu encompassing the canal premises to boost the activities near and around the canal.